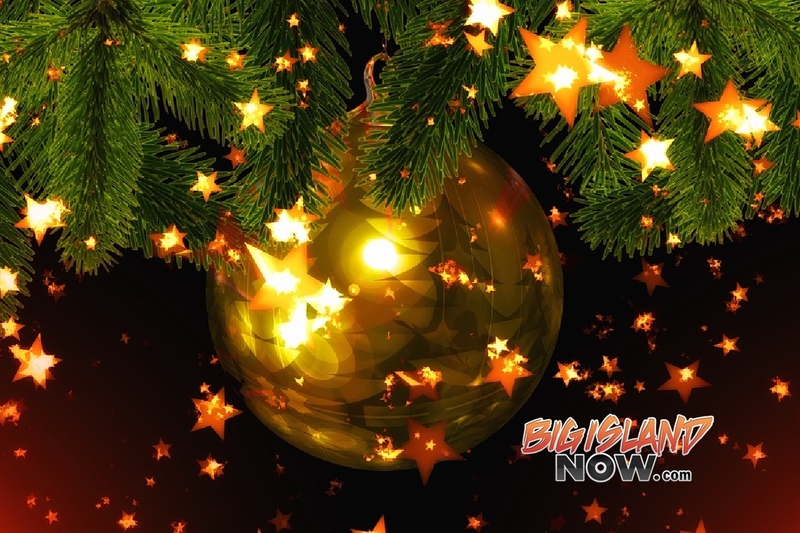 The 58th Annual Waimea Christmas Twilight Parade is set for Saturday, Dec. 1, 2018, from 5:30 to 6:45 p.m.
Traffic Advisory Road closure, 5:30 to 6:45 p.m. Māmalahoa Highway through Waimea town center will be closed during the parade. Only emergency vehicles will be permitted to pass through town. Plan ahead and expect delays. Off-duty police—some on bicycles—will assist with traffic control and crowd safety. Public Safety & Respecting the ‘Āina Parents and guardians are asked to keep an eye on children and remain on the curb/sidewalk, not in the street. Emergency vehicles may need to pass. Absolutely no candy throwing. Respect the ‘āina. Don’t park on landscaped areas at the hospital and shopping centers and pick up rubbish. No tents will be allowed on private property except for permitted food booths. Do not leave trash; rubbish bags will be provided at all narrator stations and by the BIGT Bucket Brigade. Parade Route & Narrator Stations The parade will begin on the east (Hilo) end of historic Church Row Park and will proceed through the town center on Māmalahoa Highway, then turn right onto Lindsey Road at the main intersection, passing Parker School to disband in Waimea Park. Portaluas (porta potties) will be placed along the parade route. On parade day, North Hawai’i Community Hospital is unable to provide public restrooms.